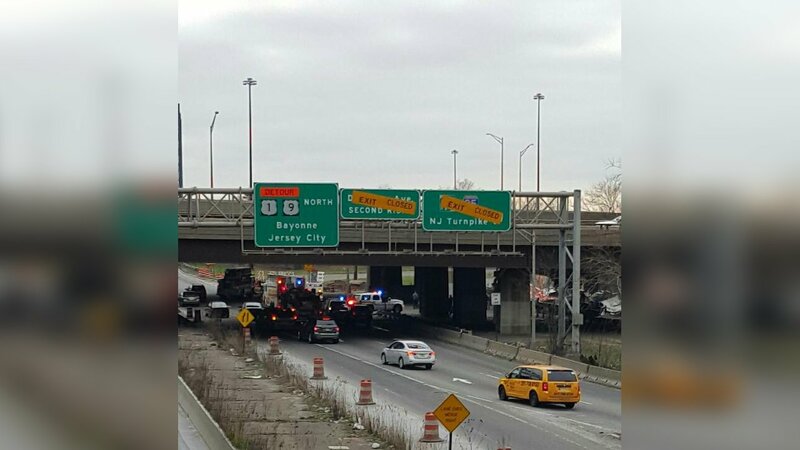 JERSEY CITY, New Jersey (WABC) -- A tractor trailer ran off the road and crashed Sunday morning on the New Jersey Turnpike. The accident happened on the western spur of the northbound Turnpike on the Newark/Jersey City border at about 8 a.m. The tractor trailer ran off the roadway and jumped the guardrail there. The driver suffered a minor injury. Two lanes of the roadway were blocked for the accident investigation and debris removal, causing traffic delays. A tractor trailer ran off the road Sunday morning on the New Jersey Turnpike.